The first one got lost in the mail. And while it can be hard for an artist to re-do a piece, I'm actually glad with the results. This one is a LOT better. 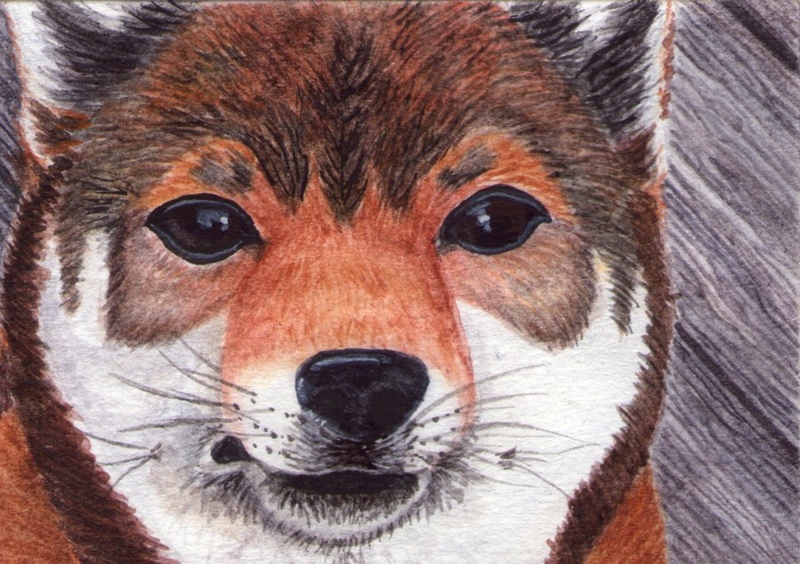 Commissions like these are $20, done from your photos, in high quality watercolor, ACEO sized.